After six years of providing Birth Doula support to families in my community, I am so excited to have found a Prenatal Preparation approach that I feel truly prepares parents-to-be for childbirth and parenthood. I am now a GentleBirth Certified Instructor and will be offering regular Prenatal Workshops and VBAC Classes. 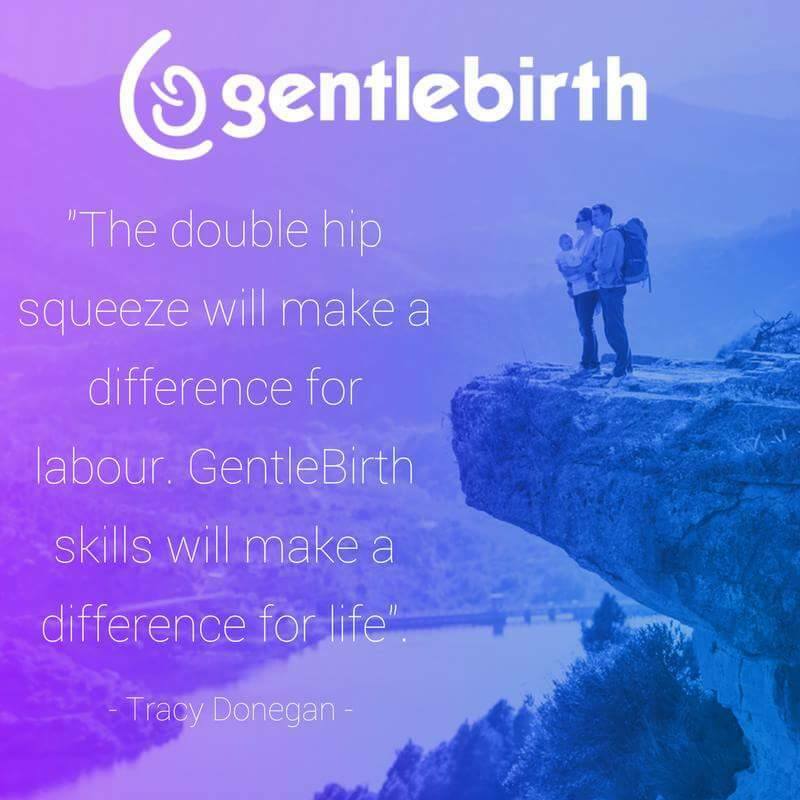 GentleBirth was founded by Midwife Tracy Donegan in Ireland in 2006. Since then it has taken the USA by storm and is making its way to Canada. I am proud to be Canada's 2nd Certified Instructor, and look forward to helping mentor new Canadian instructors as the GentleBirth presence grows. This program provides participants with all the information they need to know about giving birth, but then adds MORE! Using an innovative, cutting-edge approach, it incorporates brain training techniques such as mindfulness, meditation, sports psychology, cognitive behavioural therapy and medical hypnosis to prepare moms and their partners, with an amazing mindset for giving birth and parenthood. There is no other program like it. The thing I love most about GentleBirth is that it does not push for only one specific, "correct" way to give birth. We know that giving birth can take on many journeys and we want to ensure parents are feeling confident, informed and empowered to make the choices that are best for them with clarity, focus and joy. Even when unanticipated events arise, GentleBirth parents are saying they felt empowered and confident and had a positive experience. How is that possible? Because GentleBirth teaches emotional resilience and how to see stress as a positive challenge, rather than face the journey with a fearful, worrisome mindset. One thing I have heard from clients is that the class fee is higher than other prenatal classes in town. Yes, that's true. And that is because GentleBirth is not just a prenatal class. It is also a training program. Workshop participants will leave feeling so confident, excited and motivated to practice daily so they can have the best positive experience possible. The Workshop also ensures partners are feeling confident and have the skills to provide amazing and helpful labour support. Furthermore, the skills you learn at the Workshop will not just be helpful for the day you give birth. They will help you during pregnancy, birth, parenthood...and for your whole life! You've likely heard all the buzz around Meditation and how amazingly beneficial it is. This is also true! Regular practice changes the way your brain works, for the better. Not only will you gain skills to get through the birth journey, you will have laid the solid foundation to continue living a joyful, balanced, fulfilled life! I can personally attest to the amazing benefits I have experienced because of regular Meditation practice. And let me tell you, it only takes a few minutes a day. I know I used to have this idea that in order to meditate I had to sit still for hours. Nope. GentleBirth has made it easy and accessible via the GentleBirth App and learning the basic foundation by attending a Workshop. Learning to meditate is now easier than ever. Even though my kids are older now, I still use the App every day! If you'd like to learn more or sign up for the next Workshop please go to my Instructor page here. I am also looking into setting up classes in Halifax, N.S. in the near future. So stay tuned for that announcement.